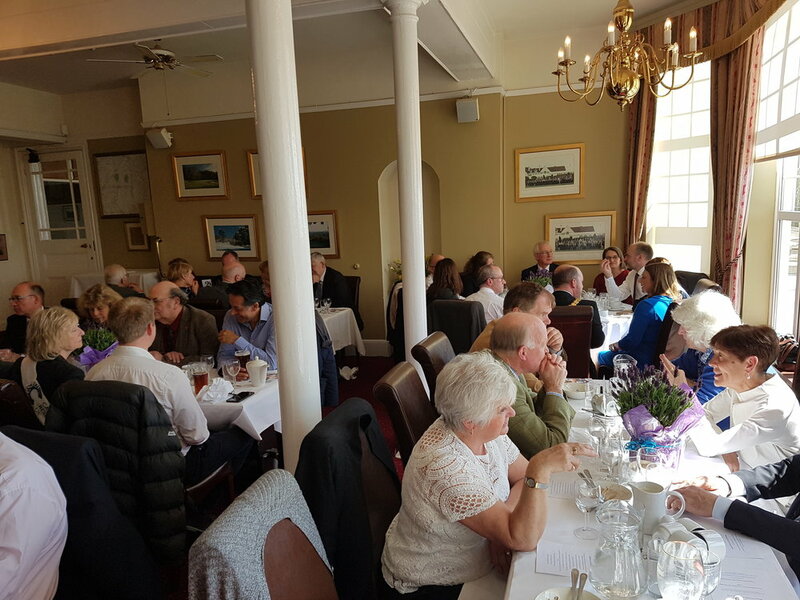 Our owner Gareth Owen-Williams attended the Crowborough Mayor's Lunch on Wednesday 10 April (with Mayor, Greg Rose) at Crowborough Beacon Golf Club in aid of local Cancer Research UK fundraising committee, Acorns for Cancer Research UK. The speaker was Dr Melanie Flint, who talked about cancer and stress. In her research, Dr Flint, a Rising Stars awardee at the University of Brighton, is focused on investigating the effects of stress on cancer progression, cancer immunology and on the efficacy of cancer drugs. The event raised a fantastic £1400! We are excited that GOW Systems will once again be taking a pitch at Crowborough's popular Summer Fun Day! It's only three months away, so make a date to come along and find out more about the support and services we provide. Organised by Crowborough and District Chamber of Commerce, this year's event is being held on Saturday 1 June and will feature the ever-popular French market, plus lots of stalls and entertainment! GOW Systems' owner Gareth Owen-William is busy training for this year's London Marathon and will be raising money for Spotlight YOPD - a charity set up to support young people with Parkinson's. Spotlight YOPD was founded because Young Onset Parkinson’s (YOPD) had somehow slipped through the net, certainly in the UK – with a perception that it’s a condition of the elderly. The charity offers those with YOPD the information, support and confidence to get the help they need for their own life with Parkinson's. Spotlight YOPD is all about shining a light on the condition and specifically how the impact is very different for young onset as opposed to the age more traditionally associated with the condition. We had a very useful day at FIREX International in London recently, where we enjoyed meeting up with contacts old and new. It was great to find out about some new products coming onto the market and to generally network. We are looking forward to visiting FIREX International at ExCeL in London this week. It will be a great opportunity to catch up with industry contacts and discover the latest trends in fire safety equipment - which we can share with our customers. GOW Systems was delighted to be involved with the Crowborough Summer Fun Day on Saturday 3 June, organised by the Crowborough and District Chamber of Commerce. Wireless systems are easier to integrate into the life you lead today. If you’re interested in increasing security in your home – then give us a call. Being responsible is hard sometimes – we don’t always want to take responsibility. When it comes to fire safety though, if you’re deemed as being ‘the responsible person’ then it isn’t something you can hide away from. We are delighted to reveal that GOW Systems is taking a stall at Crowborough's Summer Fun Day on Saturday 2 June!